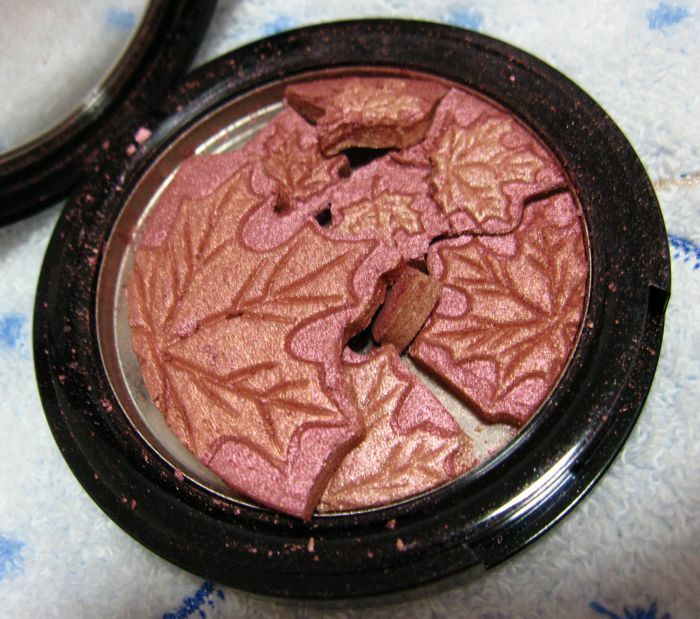 Makeup heartbreak happens in a lightning flash when one is not careful. 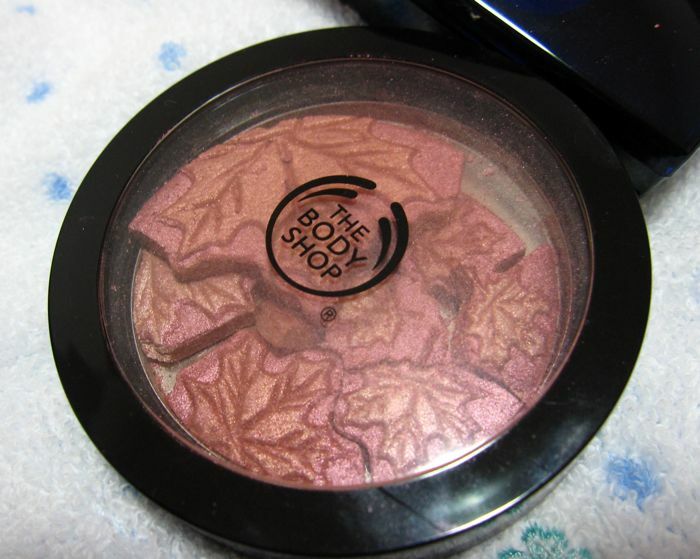 In my usual morning rush, my new Body Shop Autumn Leaves Compact #2 Berry fell face down on the floor this morning. Fortunately the lid was shut, and so all the powder was contained. It was interesting how the powder broke almost perfectly around each of the maple leaves. The powder is actually very soft. Just picking up the pieces gently by the edges tends to mush the sides. I pondered briefly about getting a backup but finally decided against it since it will take me forever just to use up this one. Anyway, I still have #1 Chestnut, which I'll be extra careful with from now on. Aww! I thought you were going to write about Urban Decay Shattered eyeshadow...then I saw that you hadn't written the brand name. Oh that's really unfortunate! However as you said, it did break up quite nicely around the maple leaves. I really dislike it when I drop something and it shatters but it's really sad when it happens to something new. i read somewhere about pressing them back tgt using some alcohol spray!